Total War: WARHAMMER is now available on Steam and a lot of players are complaining about issues in the game. Apparently, most of them can’t even start the game and they are unable to play it because of this bug. The game is an addictive turn-based empire-building with colossal, real-time battles, all set in a world of legendary heroes, giant monsters, flying creatures and storms of magical power. The most encountered Total War: WARHAMMER errors that players reported on the games forum are Game Not Starting, Crashes (including some weird APP Crash), Freezes and other performance issues, some related to a black screen and some to the resolution of the game. 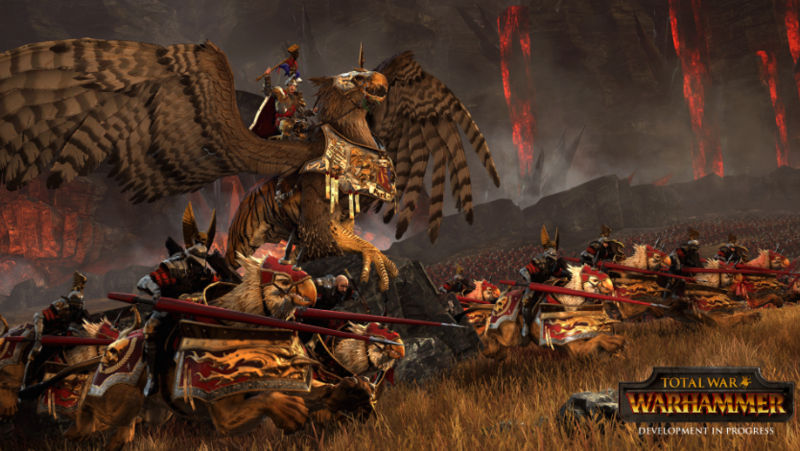 To fix the Total War: WARHAMMER issues, first make sure that you meet the minimum system requirements of the game. You can find these requirements below. If your PC is compatible with the game go ahead and check our solutions for the game issues below, if not please try to upgrade your PC first. For some users, the game won’t even start. They click Play in Steam Library and nothing happens or they receive a startup crash. Because of this issue, a lot of players are unable to start and play the game. Solution: You can simply fix this error and start your game by following and applying our tutorial at the end of the post to your game. Some players are encountering crashes during the game or at the start-up of the game. To fix this issue follow the solution that developers of the game gave below or check our more detailed tutorial the end of the post on how to fix the startup or random crashes. Does the game hang or crashes on start-up? 1) Set Steam to Offline, and try running the game again. For some players, the game freezes the moment the first Warhammer screen pops up or when they are trying to play the game in multiplayer. Also, others reported random freezes throughout the game. Solution: To fix the game freeze make sure that you meet the game system requirements and after that follow our tutorial below. Multiplayer (campaign or battle) doesn’t work? – The servers are taking a hammering with so many people trying to play at the moment, if you leave the lobby screen alone for a minute it should populate. Clicking and hitting keys lots will potentially crash you out while it’s refreshing. Select the game executable from the game folder, if you used the default install folder it should be: “C:\Program Files (x86)\Steam\Steamapps\common\Total War: WARHAMMER”. How to download: Well, you might think that our download service is pretty annoying but is very effective. To download you just need to complete a simple offer, it usually takes a few minutes, and after that, you will be able to download the patch. We use this service because is the only way to support our developers and to keep releasing and updating patches for games. Thank you! We hope you understand us and have fun playing Warhammer! Thank you guys for this tutorial, I can finally launch the game now! Does this still work as of the 26th? …what about 9th of August!? I hit play and nothing happens. Has previously been working fine apart from the odd crash. Whenever I try to download i get this… Sorry, there are no offers in your region at this time.